When your first impressions of a mobile app/game have you both scratching your head at the hutzpah of the wizards behind it while at the same time thinking WHOA! Well, that is a rare find. 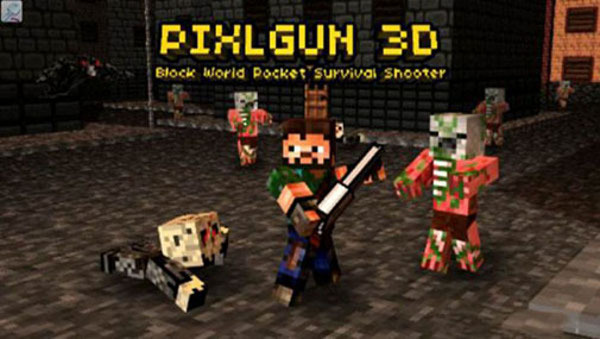 What Pixel Gun 3D brings to the shooter genre on iOS is a fusion of Minecraft and LEGO. Seriously. Wait, no, don't think that it is LEGO in the sense that you build things with bricks, we don't mean it that way - we mean the appearance of the world and players - but then even if Minecraft is a unique game play environment, thanks to its 8-bit approach it also looks a little LEGO at times. 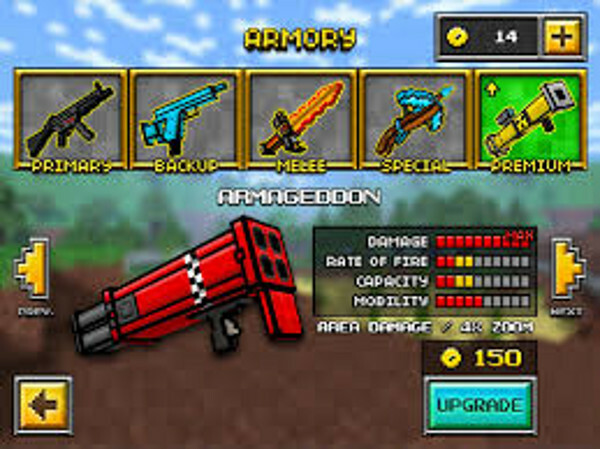 The important thing to understand though about Pixel Gun 3D is that is not a detracting feature. No no, just the opposite. 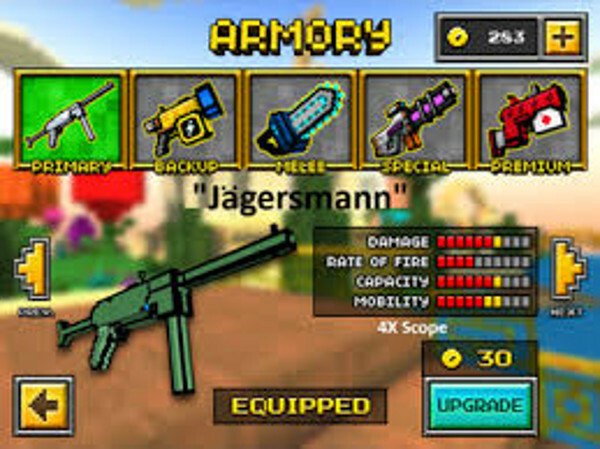 In fact you might even say that it feels like a Minecraft that is all about shooter combat and not building things! Yes, we know comparisons are odious - and particularly when they are comparisons between games that don't really compare - but we really cannot help ourselves here! Part of the beauty of this game is that while it certainly embraces the IAP philosophy - its In-App Purchases all make sense! The game is free-to-download and free-to-play, but includes an extensive armory of weapons, armor, Skins, and outfit accessories that include Capes and Boots - and why not? What spanking cool warrior doesn't want to sport a bitchin' Cape and pair of Boots?! There is also Gear to be purchased - which includes kit like Frag Grenades, Turbo Potions, the good old Potion of Might, Regen Potions, and Invisibility Potions - and you know those could come in handy! Buying all of that neat kit requires Gold Coins (the Premium Currency of PG3D) which the player can either obtain slowly by playing or pay for with real-world money at the rate of .99 cents for 45, $2.99 for 135, $4.99 for 240, amd $9.99 for 495. Serious players can spend serious money though - think $19.99 for 990, $49.99 for 2400, or $99.99 for 6000. What you buy depends on just how much you like the game - and let us tell you, once you learn the controls and get the feel for it, chances are you are going to like it a lot! The game is structured with a Campaign and a Survival Mode, and is really set up so that friends can get together - if they like - party up, and have a blast. In fact from a game play perspective the game actually has the camaraderie and fun that are commonly found on AA shooters that you play on traditional fixed platforms! What that means is that you are getting a lot more bang in a free-to-download and free-to-play title than is usually the case. And we like that. As hinted at earlier the graphics are very 8-bit and reminiscent of both LEGO and Minecraft - or maybe a cross between the two. That is just fine though because that not only does the job it actually adds a sort of character to the game that sets it apart from other shooters! The music in the game is a sort of 70's jive fusion of electro-pop that actually gets our head bobbing at points, and the sound effects are spot-on what you would expect from this freaky sort of environment in which your best friend is a rifle and your best girl is a grenade! For casual game players you cannot beat the price - FREE - and for gamers serious about their shooter talents and eager to prove themselves on yet another battlefield, the price of admission is not so steep that it leaves a bad feeling. 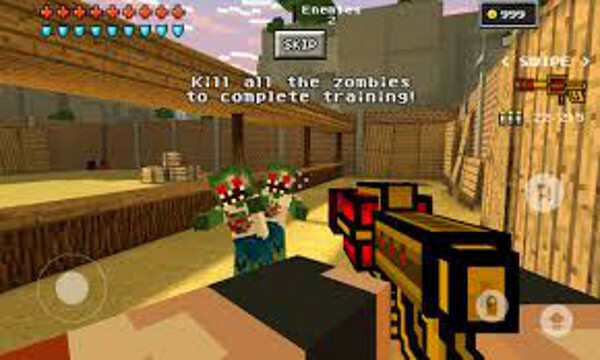 That said, if you are into shooters, you should give Pixel Gun 3D a good go, because you might find that it will become your next go-to title for shooting fun!